So….. I sat down at my craft desk, pointed pen in hand. I thought I’d do some calligraphy practice by writing out a poem from the book we were given for our wedding ceremony. Lovely. I thought I’d use my good paper and my lovely rose gold ink. Excellent. It started well, the lettering looked good………. So that was the end of that piece! 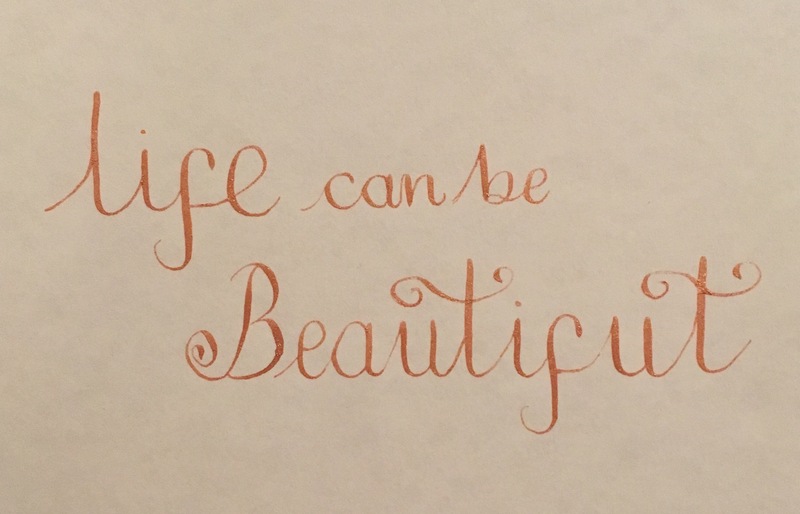 Have you inadvertently written anything when trying to do calligraphy or lettering? Next postJust wanted to share a piece I’m really pleased with…..